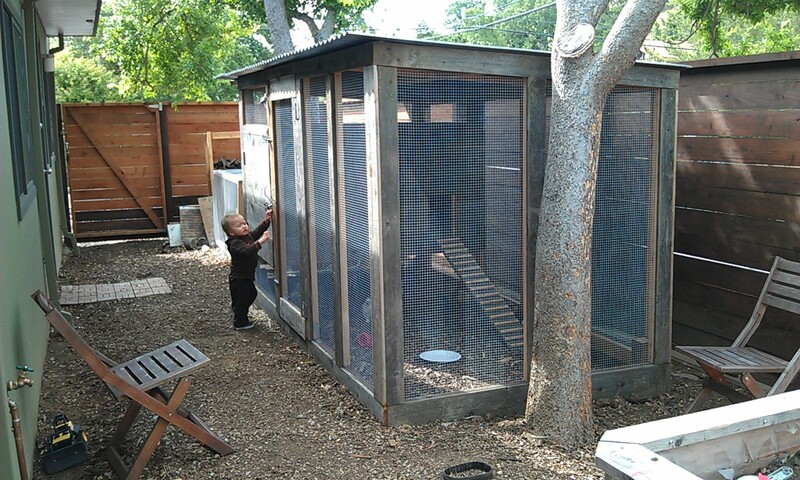 We love our chickens. They give us the most amazing eggs. So fresh and full of nutrients. 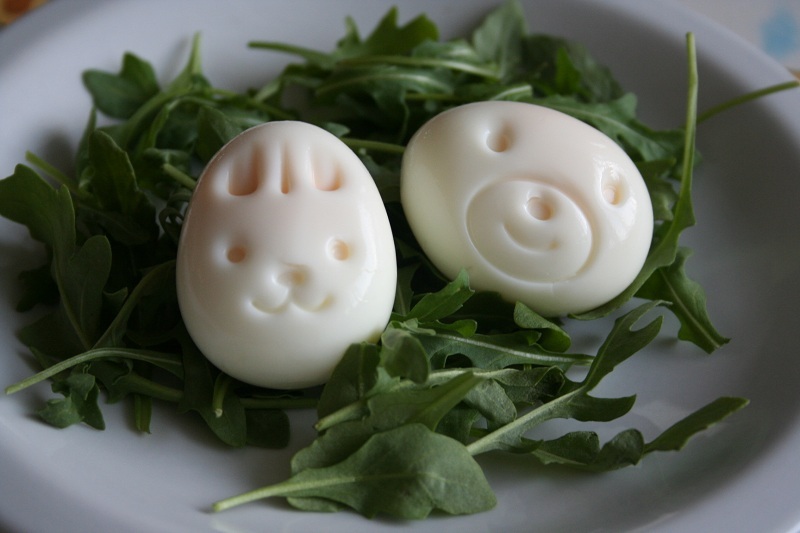 Many people do not know that it is much harder to boil fresh eggs. Normally the eggs that you find in the supermarket are at least a few weeks old if not closer to a month old. Not great for freshness but older eggs are easier to peel. 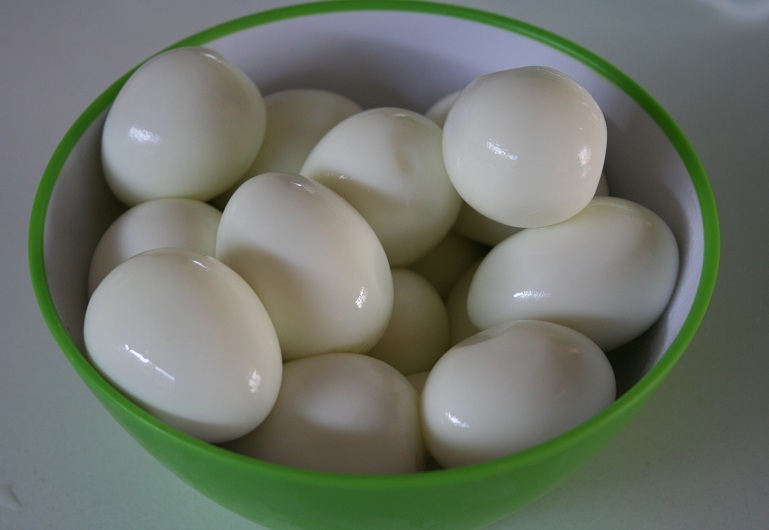 We love boiling eggs for deviled eggs, to put in the kids lunches or just for a quick snack. 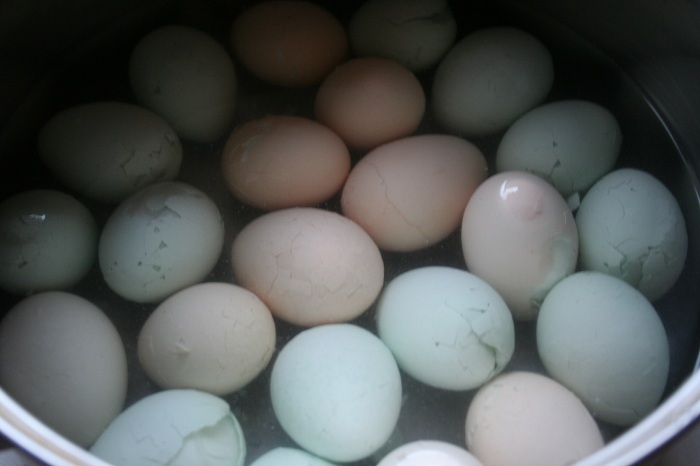 Here is how I hard-boil our fresh backyard eggs. It really is better to use eggs that are a few days-1 week old. 2. When you water has come to a boil, heavily salt the water (for a medium-big pot I use about 1/4 cup of kosher salt), then lower the eggs in carefully with a big spoon. 3. 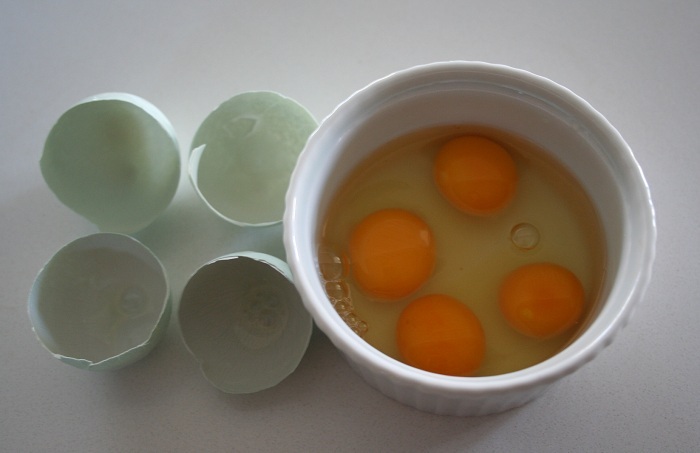 Once all the eggs are in the pot, bring the water back up to a medium boil and boil your eggs for 8-12 minutes depending on the size of the eggs and how you like your yolk. 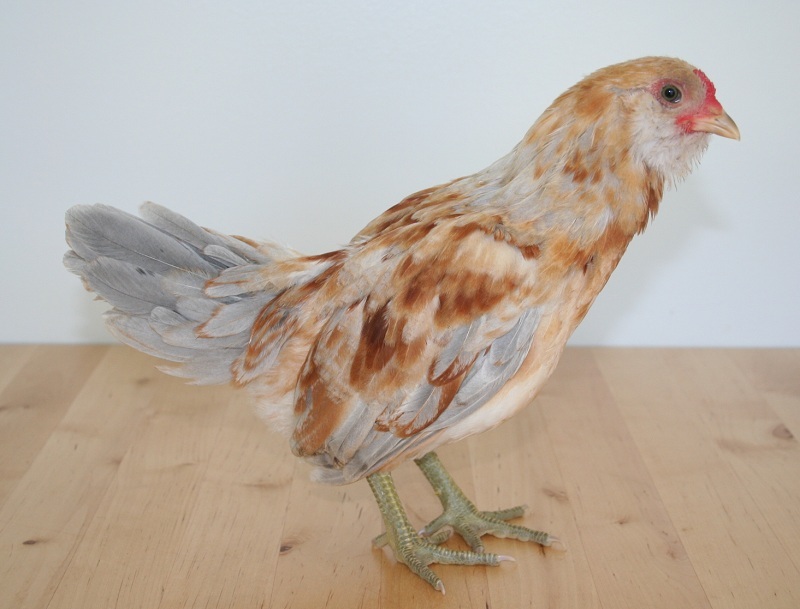 For my bantam eggs I usually cook for 8 minutes. 4. 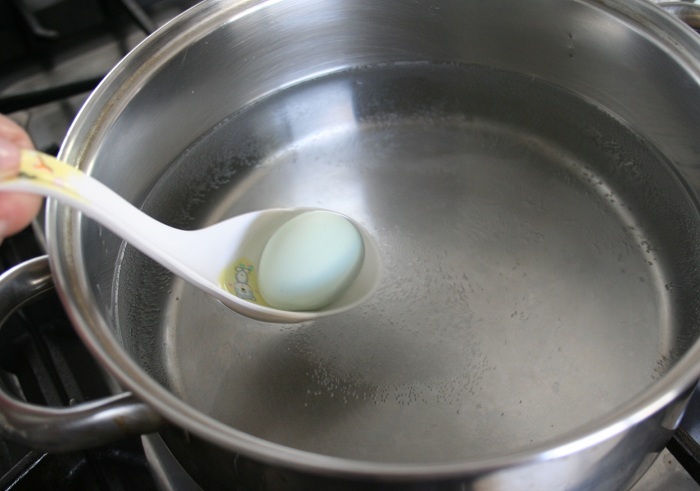 When the eggs have finished cooking, remove them from the heat and drain out the water. Then immediately submerse your eggs in an ice water bath. 5. 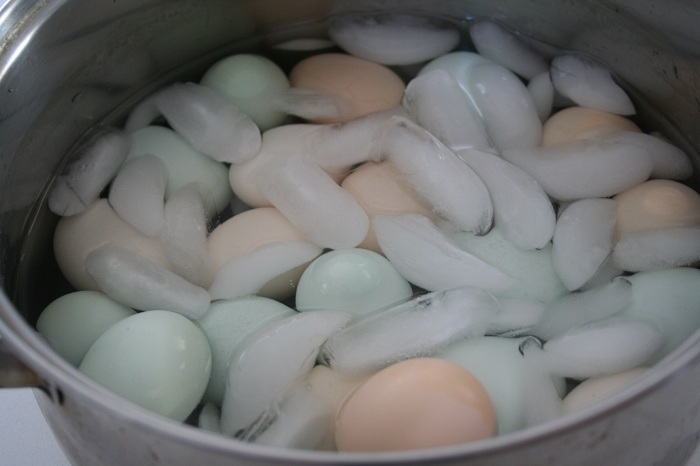 Once the ice has melted, feel the eggs and water. They should still be very cold. If they are warm, add more ice. 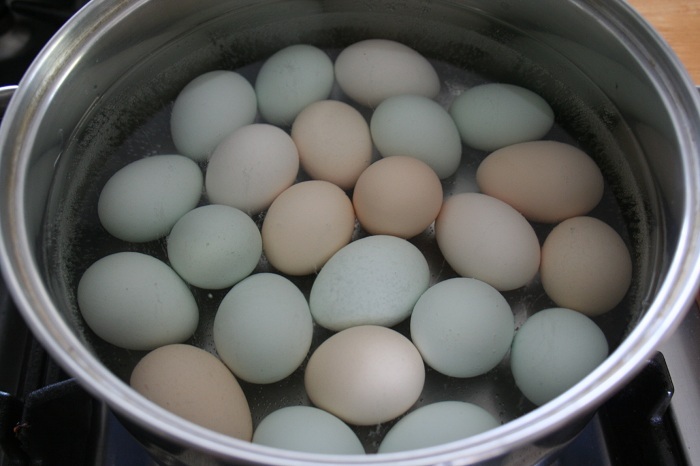 Then drain some of the water out, put the lid back on and shake the pot to break the shells of the eggs. The water in the pot will get between the egg and the shell membrane making it much easier to peel the eggs. The practically peel themselves. The only ones that did not come out perfectly were the 3 eggs that were laid that morning. Even the eggs from the day before turned out perfectly. Here is a great Truffle Deviled Egg Recipe that just elevates the humble deviled egg into a sophisticated party or shower dish. Did you make anything with the eggs? You can also try lemon curd! I just tried this, it really does work, but myself I would boil longer the yolk was a little to gooey for me. I still struggle with the ‘peeling issue’. Can’t wait to try your method. Thank you, It is different than any I have ever seen or tried. Hi Collie, Did it work? Also note, the older the eggs, the easier they will peel. I will have to remember this! Thank you! Why does the water need to be salted? I read that adding salt helps the whites coagulate better making them easier to peel. Fresh eggs are notoriously difficult to peel because the whites stick to the shells so I thought this would help. 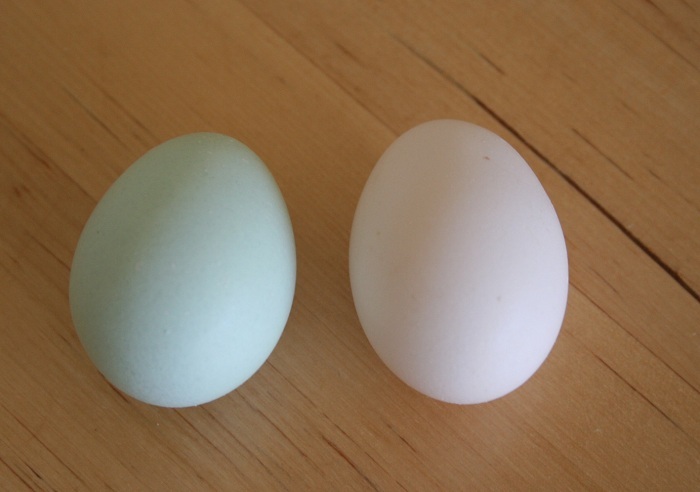 There is a membrane between the egg and the shell. The membrane will stick to the white causing it to tear in the places where it is stuck to the shell also. I start peeling at the large end of the egg and make sure I am gently removing the membrane and this helps prevent the tearing of the egg white. I typically have great success with fresh (day old) eggs and only adding salt to the boiling water. Have never tried the ice water bath. I’ll have to give that a try! Thank you Tammy, the salt & cold ice bath worked! I can finally have my deviled eggs with my fresh eggs! Thanks again! This has always worked for me!!! Thanks!!! How do you “drain the water” from the big pot without all the eggs falling out? If I might add an additional comment, if you peel the eggs under lightly running cool water it makes the shell come off a lot easier. Wow, this method worked better than the many other methods I’ve tried! Thanks! I was taught to put the eggs in cold water, add salt and bring them to a boil, turn off the fire and let them sit for 12 min. Then empty the hot water and add cold water to cool. 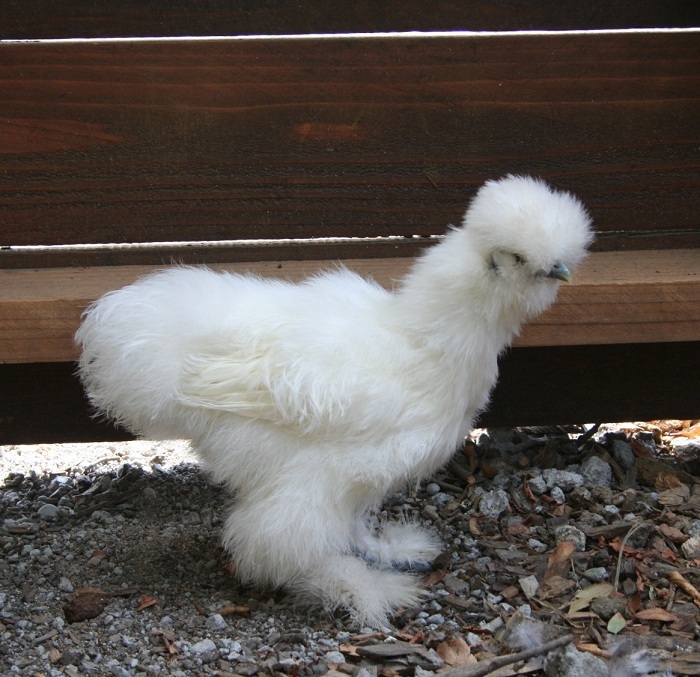 I now live where I can get fresh eggs and am gonna try your method. 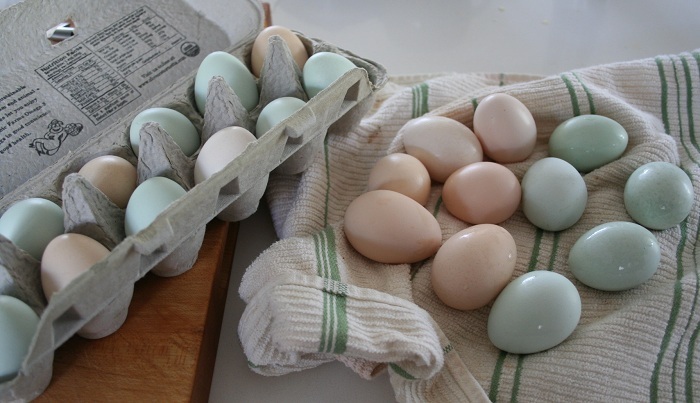 I buy very fresh eggs normally laid that day. I make a hole in each end with a pin and then hard boil them. When they are cold, I take a sharp knife and wallop it down the middle and then use a spoon to get the half egg out. On the whole, I don’t get bits of shell in anything but it certainly saves patience and effort peeling a newly laid egg. May sound a bit barbaric but it does work. Amazing!! Worked like a charm! I’ve read about doing the eggs this way several times, but didn’t think it would work. 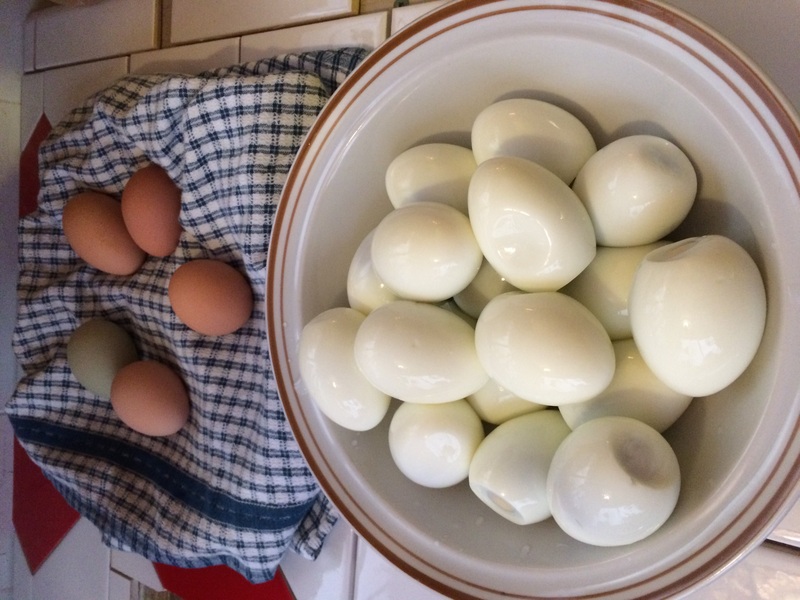 But, my neighbor just brought over about 4 dozen fresh eggs and well, I had to try it. I am so glad I did. Thanks so much!